When I studied abroad in London during the spring of 2008, I knew I was up for some mind-blowing adventure and changes, but never did I think that 10 years later I’d still be taking on new sights with the same friends that first helped me push through comfort zones abroad. I suppose now as I look back it really should come as no surprise that the people who see you through some of your most vulnerable moments are the ones who get to know you, and hopefully love you, on a level deeper than the average friend. So, after our return from abroad, I was armed with a new crew of lifelong besties that I’ve continued to explore with as often as possible. We’re lucky that we share the Midwest as our home base, despite many moves and most living outside of it now, so it’s not too terribly tricky to rendezvous locally over holidays to catch up on life changes, but where we really do our best work is taking on some place new. Recently, when I mentioned to one friend that I wanted to road trip through Canada to Niagara Falls, the casual conversation became planning a last minute trip to upstate New York where two others based on the East Coast could join us. We’d been trying to get together for awhile now, but between marriages and moves and new businesses, it’d been hard to do. But the stars aligned for us, and my “must be lake-centric” demand was easily accommodated. Two other of our abroad besties were busy preparing for and learning the ropes of brand new motherhood, so we missed them on this excursion, but we think we made them proud. 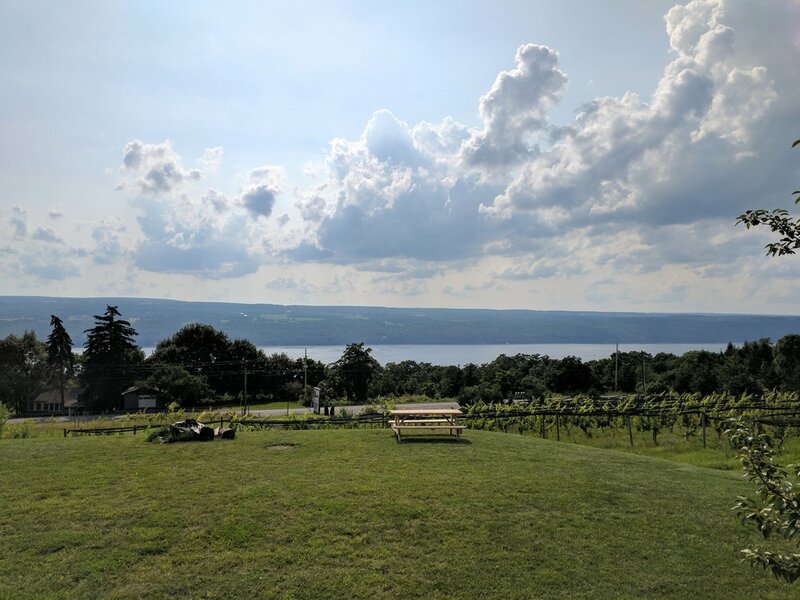 ENTER, New York’s Finger Lakes Region. When you have just over 48 hours to conquer a region this size, you have to adjust your expectations appropriately. With multiple large lakes, dozens of charming small towns, and hundreds of wineries, restaurants, waterfalls, etc., we knew we’d need to prioritize accordingly. What we were prioritizing - lake views, wine tasting, and down time. We’re busy gals, and I wanted to be sure that there was a heavy R & R component to this weekend. I’m not so sure we did much of either though, as we also celebrated a 30th birthday and were quite swept away by the hospitality of everyone we met. This region of upstate New York is home to so much more than just the long, narrow finger-like shaped lakes that the region is named for. But that doesn’t mean the lakes aren’t absolutely fascinating and the main draw. They are classic glacial lakes, though these are some of the deepest in the US and are well below sea level. There’s no shortage of parks, waterfalls, hiking, fishing, biking, shopping, wine tasting, museums, and restaurants to explore. In fact, the Women’s Rights Convention of 1848 was held in Seneca Falls and is where Elizabeth Cady Stanton and a crew of original girl bosses fought for women’s rights by signing the Declaration of Sentiments. 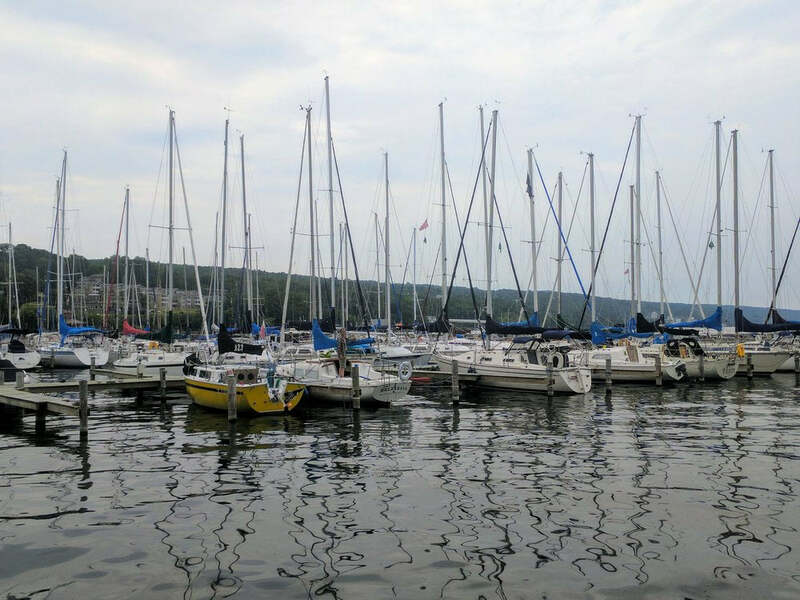 Geneva, at the tip of Seneca lake and where we spent most of our time if in town, has just about the cutest downtown scene and is home to Hobart and William Smith Colleges. 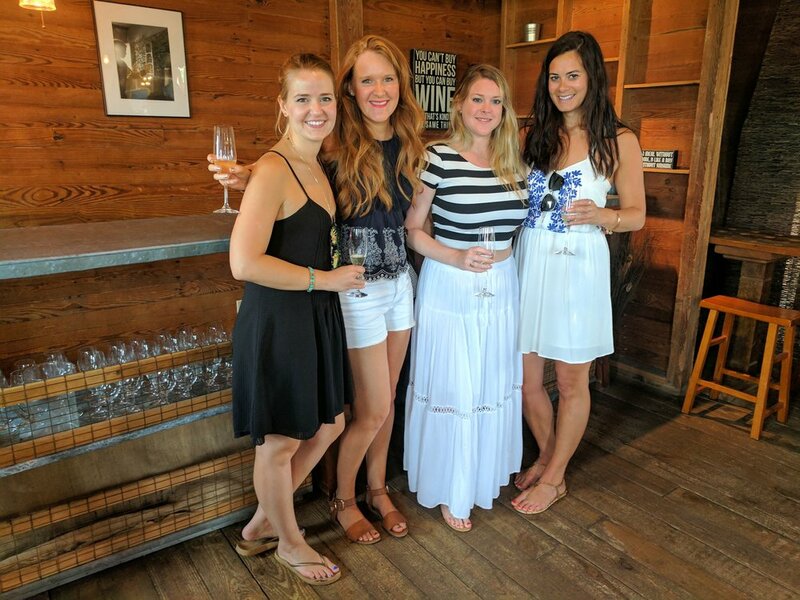 One of our gal’s boyfriend is an alum, so we had some insider scoop as to the best wineries, errr, dive bars to visit. The region is also home to Ithaca, Syracuse University, and much, much more. 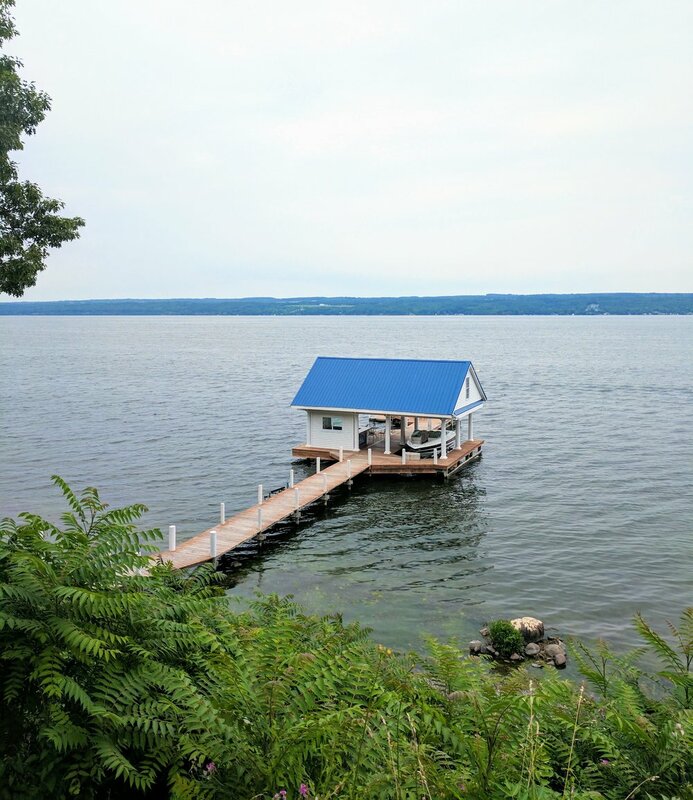 We based our weekend on Seneca Lake, which has two main towns, Geneva at the Northern tip and Watkins Glen at the south. Seneca is the largest and deepest of the 11 finger lakes, at 66.9 square miles and 618 feet deep. The wineries are in the rolling hills around the lakes, and due to the fact that the lake is at a low elevation, it makes for a lot of sweeping views of the water from cute tasting rooms perched on hilltops. IDYLLIC. You can certainly fly into a small, local airport with direct flights from New York airports, Detroit or Philly, but you’re going to miss some gorgeous views if you don’t drive. In our crew, two approached from the Northern route and two came from NYC, and both groups remarked at the awesome scenery. We’ve heard that traffic can be horrible on classic busy travel days and summer Sundays as people head back downstate, so you’ll want to allot time for that madness. Other options here. 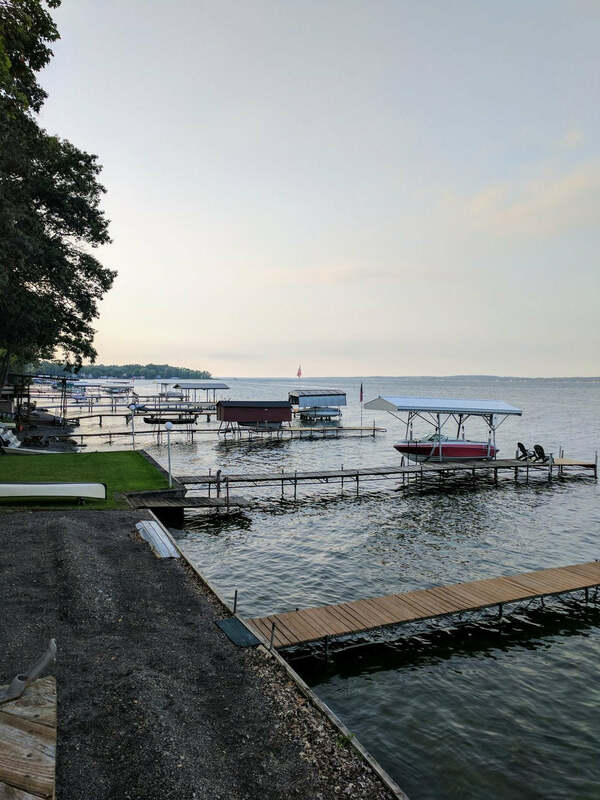 Hotels and bed & breakfasts dot the shores of these lakes, but we opted for an airbnb on Seneca Lake. 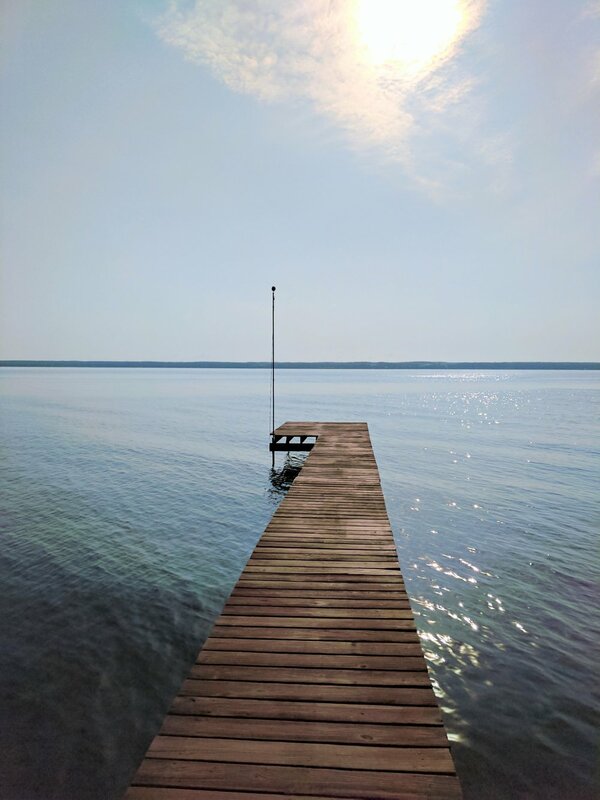 We wanted to start our days on the water, and it was awesome to have a long pier to relax on sporadically throughout the stay. Even though ours wasn’t in great shape, it wasn’t cheap, so book early and be picky. Kindred Table (Geneva). Farm to table, obviously. Excellent craft cocktails. Red Dove Tavern (Geneva). Fried chickpeas + Korean BBQ wings. Go there. Ravinous Kitchen (Ravines Winery near Geneva) - we enjoyed a charcuterie board while tasting but have heard their other food options are incredible. Ports Cafe (10 mins south of Geneva). Classic American/random options with a lively crowd. I think everyone tries to go here on a Friday night. 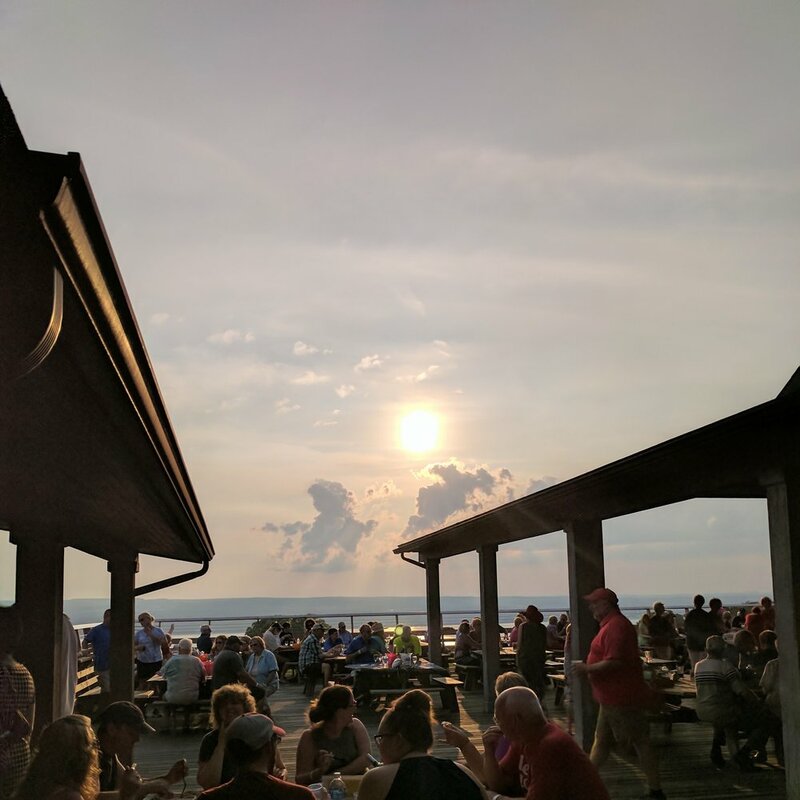 Village Marina Bar & Grill (Watkins Glen). Your typical bar & grill options but in one heck of a spot adjacent to the marina. A great place to unwind after a hike at the nearby waterfalls. Linden Social Club - Get the Don Fernando. Just do it. Kashong Creek - Ciders, beers, live music. Awesome bartenders and craft cocktails. Get the spicy mezcal marg + a splash of ginger beer. Side Show - Cash only. Get a beer. Eddie O’Brien’s - Another dive. Jukebox + college. 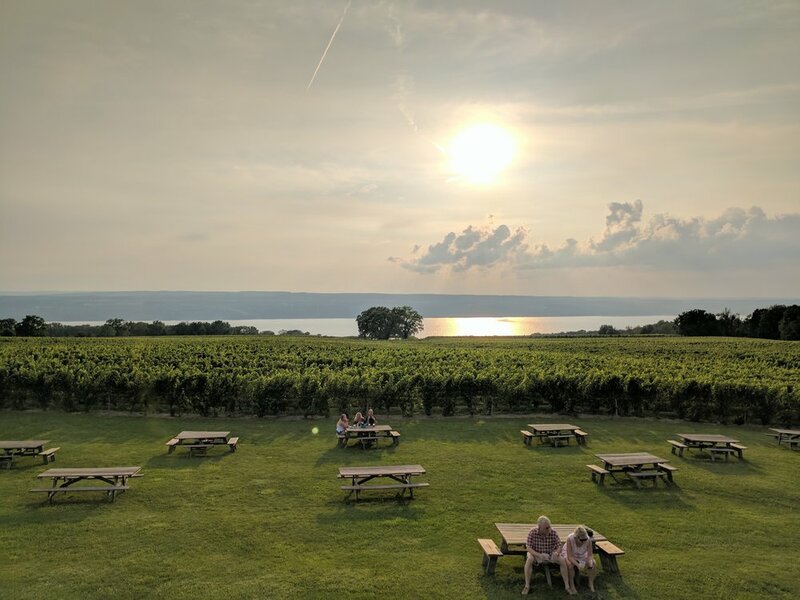 Again, there are over 100 wineries in the region, and we stayed just local to Seneca Lake Wine Trail. The region is similar to German wine regions along the Rhine river, so grape varietals common to that region are dry riesling and gruner veltliner, but chardonnay, pinot noir (and rosé of pinot), cab franc and cab sauv are also thriving in the area. Imagine that, the favorites of our crew. And for those of you cringing at the thought of riesling, dry versions of this wine are luxurious, dry, delightful. Ravines (West side of lake, near Geneva) - This might have been my favorite, as evidence by the fact that despite it being the first stop of the day, I joined the wine club anyway because there were so many wines I loved. The dry riesling, the rosé, the pinot noir, the bubbles, a red blend that made me weak. And not to mention an insane charcuterie plate + fresh-from-the-oven bread. 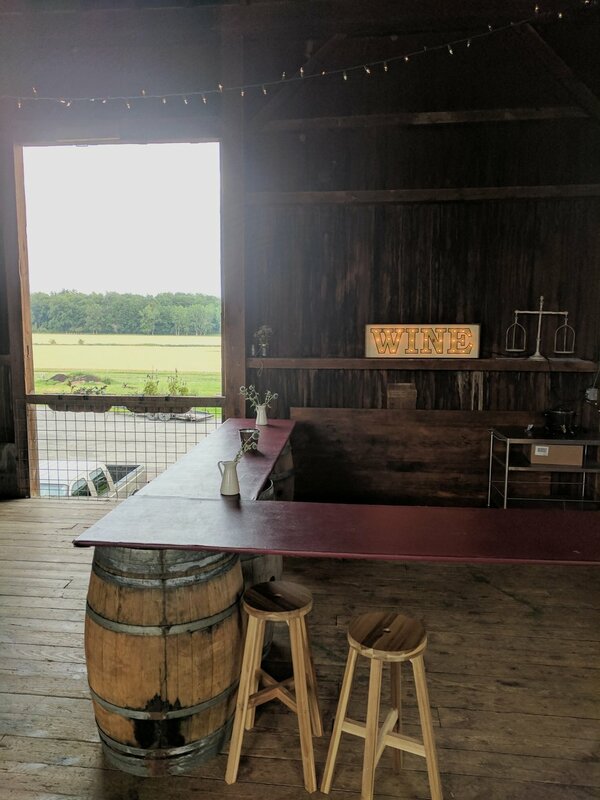 This location is in a darling barn, and the chill vibe made for an easy tasting with many “off the tasting list” pours. Appreciated. Hermann J. Weimer (West side of lake) - One of the oldest in the region (1979), this spot feels a bit more commercial that some of the more low-key wineries we visited, but their rieslings were kind of amazing. A sip was enough for me, as they’re done in a traditional, sweeter style (Kabinett). They’re known as one of the best riesling producers in the US and put forth major efforts in sustainability and biodynamics. Fox Run - Another riesling-heavy spot, but with an interesting blend made by top winemakers in the region who combine some of the best Rieslings in the region for an interesting dry wine. I think we all bought this one. They also made some delicious chardonnays that even non-chard drinkers were all about. Their facilities are gorgeous, perched up on a hill with loads of outdoor decks for snacking and enjoying a glass or two. 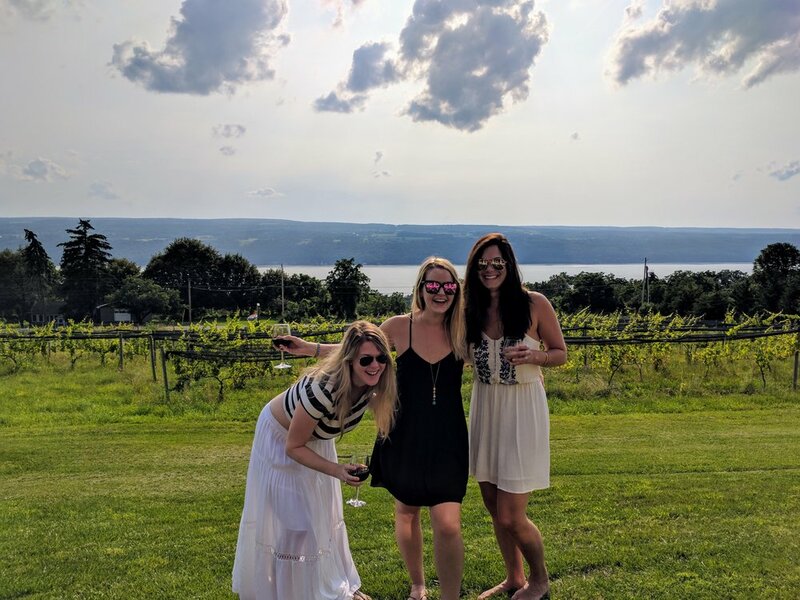 Miles Wine - We missed the tasting hours and heard that we dodged a bullet due to some snobby pourers, but the grounds are INSANELY beautiful. 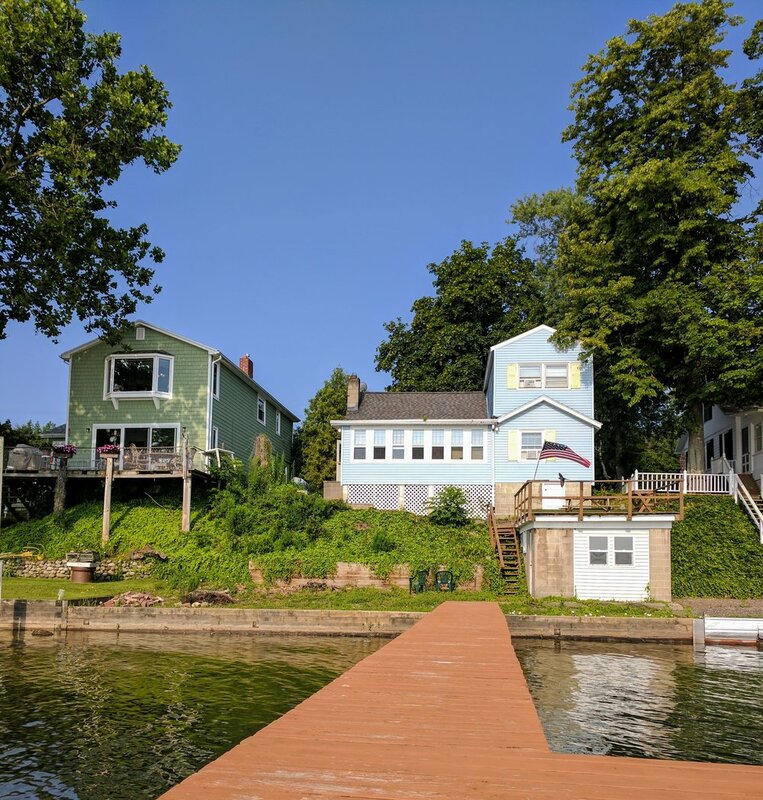 One of their tasting rooms is on a dock over the water and a giant willow greets you on your walk to the classic white home perched near the water. The girls said this was a place where I should probably get married. Agree. If not, I at least want to come back and taste on that dock. Bucket list. 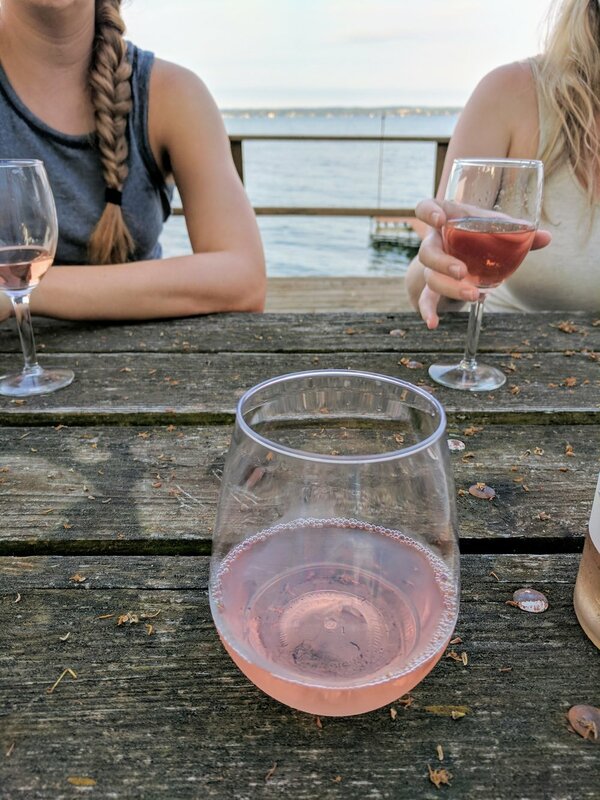 Billsboro (West side of lake) - Ok, we didn’t actually go here, but we had multiple bottles of their rosé throughout the trip and loved it each time. 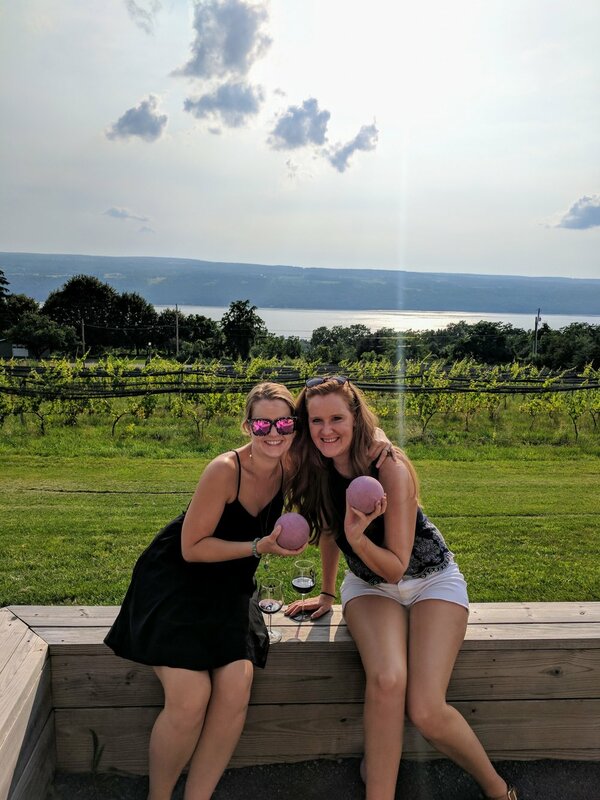 Damiani (east side of lake) - When the tasting room closes, the cellar is open later and features a bocce court overlooking vineyards and the lake, as well as snacks, winery dogs, and live music on Thursday evenings. Their rosé was recently given a shoutout by the NYTimes travel section, and I agreed it was lovely. That said, I only bought the cab franc which was waaaay more delicious. That said, everything was lovely - and don’t let the Italian name fool you, they’re not trying to make Italian wines here, the original winemaker was Damiani. And they do a bang-up job in a damn lovely spot. Super friendly wine pourers here, too. Wagner (East side of lake) - As the last stop on our wine tour, we admittedly had nothing to note about the wines except that the rosé was lovely. We split a bottle on their huge outdoor patio overlooking the lake. On Friday evenings they have live music, bbq, and late night pizza. The locals love it. And honestly, the view alone was worth it as the sun began to set over the grapes and the lake. They also have a brewery on site, so if your crew includes some non-winos, this is a great spot to consider.